Penny University is a term originating from the 18th-century coffeehouses in London, England. Instead of paying for drinks, people were charged a penny to enter a coffeehouse. Once inside, the patron had access to coffee, the company of others, various discussions, pamphlets, bulletins, newspapers, and the latest news and gossip. 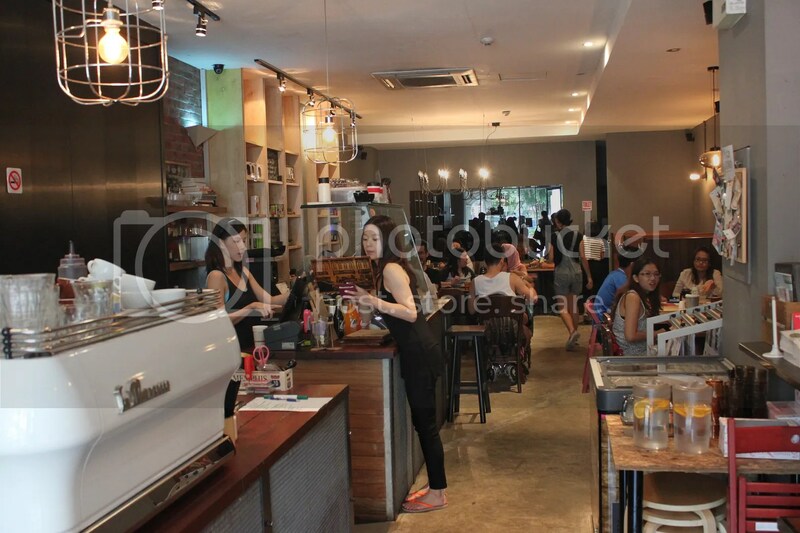 Situated along East Coast Road, Penny University isn’t the most accessible of cafes, with no MRT stations within walkable distance. What this does is to help regulate diner traffic, which is especially vital given that the cafe isn’t large to start with. Still, one can expect a waiting list to form on weekends. Alongside a minor revamp of the menu recently, prices have also undergone a slight increase but are still kept at fairly reasonable levels, in the low-$20 range for a Full English Breakfast with Juice or Coffee. 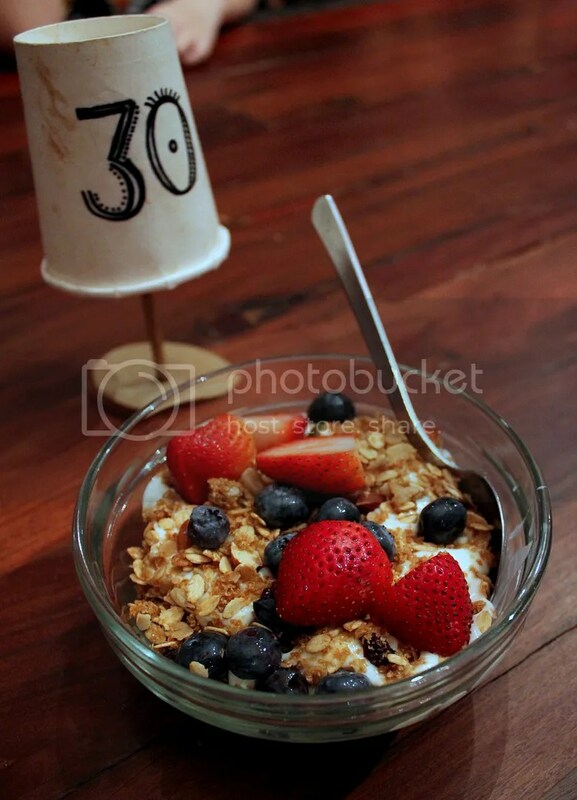 MZ had the Honey-infused Greek Yoghurt with Granola ($6.50+) and the Scrambled Eggs on Toast ($5.90). 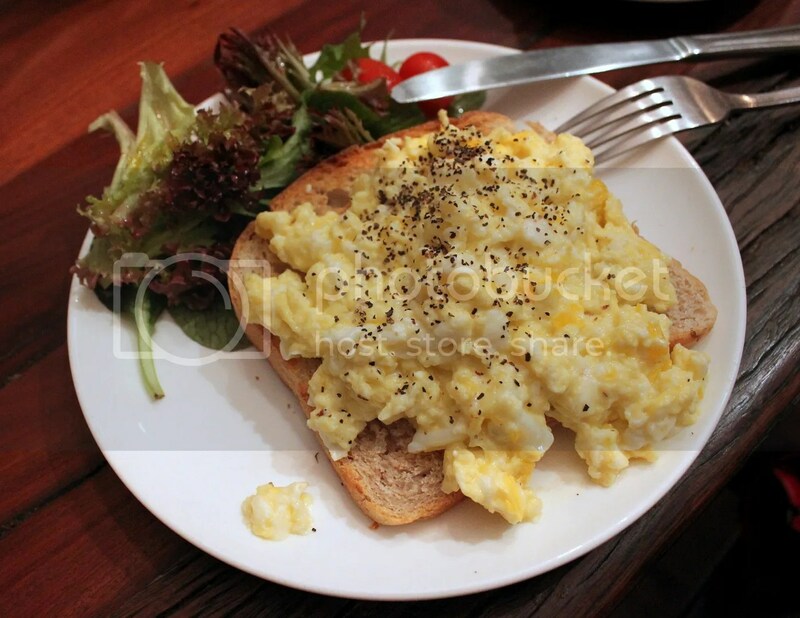 The thing I like about the scrambled eggs here lies mainly in its texture and consistency but tastewise, I would have liked a richer creamer flavor. 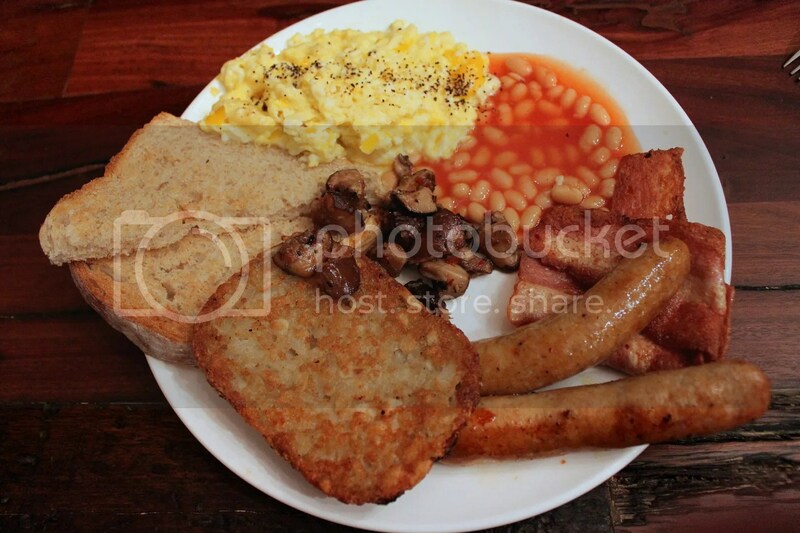 I had the Full English Breakfast ($16+) and it was one of the better ones I have had recently. From what I have read, the cafe does not have a halal certificate but runs a halal kitchen and only uses halal ingredients, so don’t be too surprised to find the texture of the bacon slightly different from usual. It still tasted awesome though. Loved the very flavorful sausages and the garlicky sauteed mushrooms too. Wanted to have desserts but was too stuffed from the generous brunch portions. Overall, I had a pretty positive experience having Saturday brunch here and would recommend it to Easties. The service staff was friendly, the meal was unrushed and despite sitting at a long communal table, it wasn’t too cramped so I could actually get a conversation going without the heightened perceived risk of having other diners around me listening in. Categories : All YumYums in my TumTum, Brunch, Coffee, Cuisine Type YumYums, East Coast/Katong/Joo Chiat, Location of YumYum, Yummy! The folks at Spathe Public House have done it again, this time with their conceptualization of Lower East Side Taqueria, a relative newcomer to the red ocean of Katong. Standing out from all neighboring eateries with its prominent shop sign and happening vibes, this Mexican joint is hard to miss as you drive pass Katong Shopping Centre and Katong Laksa. I was definitely eager to dive into their interpretation of Mexican cuisine and suggested meeting up with several old buddies here for dinner and drinks. While there’s no lack of affordable watering holes around the area, with the likes of Bar Bar Black Sheep and Two Fat Men, Lower East Side doesn’t seem to compete on price. 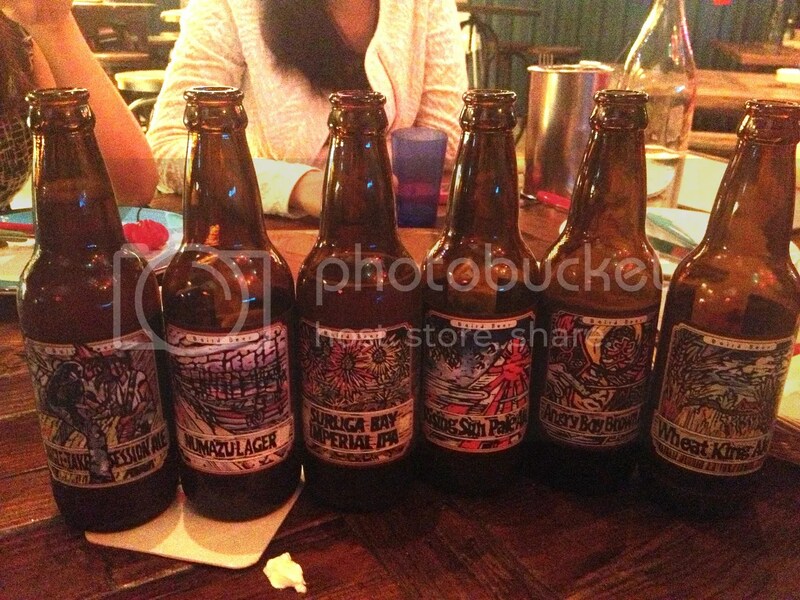 Non-happy hour prices (8pm onwards) of their Australian/New Zealand draft beer goes for $15-$16 a pint, compared to just $11 for a pint of Kronenbourg at Bar Bar Black Sheep @ Tanjong Katong. What Lower East Side does strive at however, is to create a much more holistic dining experience with a well thought out interior design that I personally found pretty hip. Having not been to Mexico, I can’t attest to the authenticity of the food here, though my gut instinct told me the flavors seemed tweaked to suit local palates. A beer list featuring a mere two types of mainstream Mexican beers (Sol and Corona) further fueled my skepticism. Then again, it does take ingenuity to improve on tradition and if a Singapore-inspired Mexican cuisine works, that’s fine and dandy too. 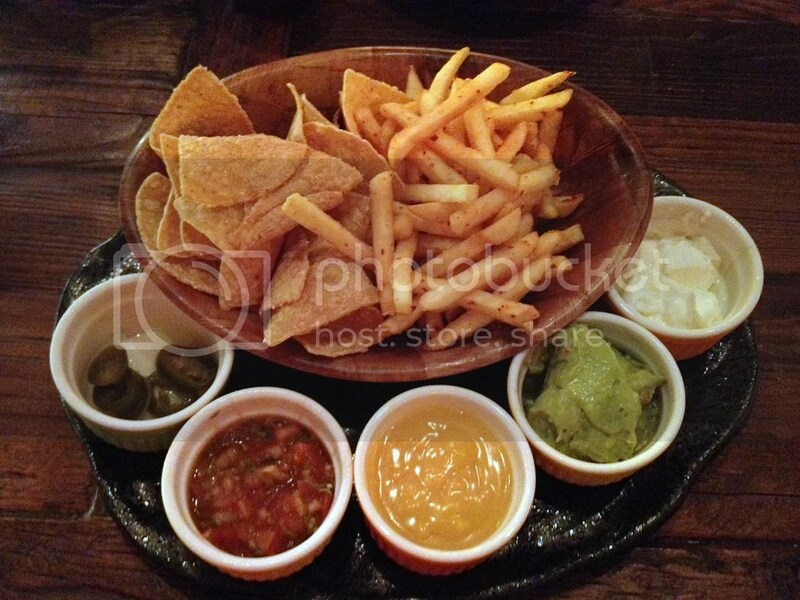 Whilst waiting for everyone to arrive, we ordered Les Mix ($14+) that comprised of Garlic Fries and Corn Chips, with 4 accompanying sauces (Cheddar Cheese, Sour Cream, Salsa, Guacamole). Nothing worth raving about unfortunately. Just simple bar snacks to keep the liquid courage flowing more smoothly. I was initially worried that the Ancho Pulled Pork Burrito ($13+) wouldn’t fill me up. After all, what does $13 get you in a bar nowadays? 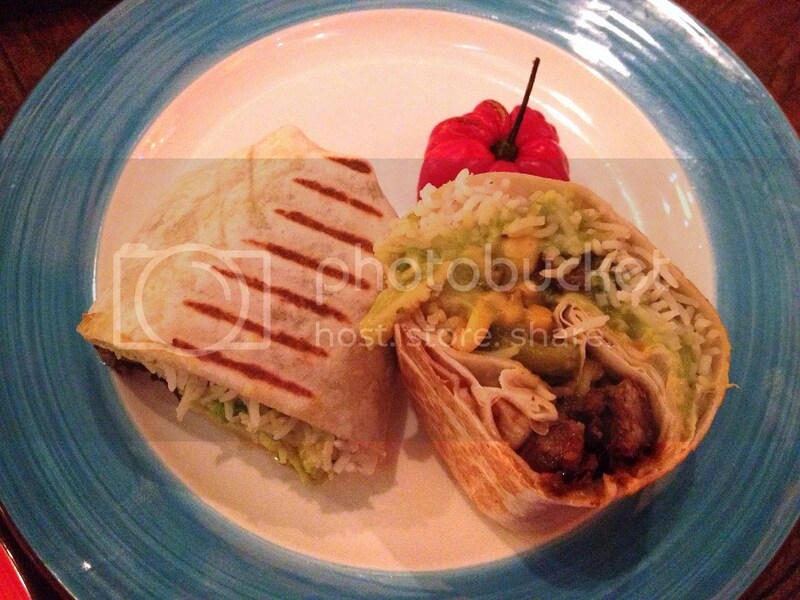 Surprisingly, my doubts were unfounded and what was presented was a bursting burrito filled with fragrant basmati rice, chunks of pork in a hearty stew-like gravy, black beans and fresh avocado that brought perfect balance to the dish. I would imagine that the creamy avocado would also help sooth the burns had a high spice level burrito been requested. Was pretty glad that the basmati rice wasn’t clumpy and yet defied the laws of physics by not flying everywhere as I sank into the burrito. Overall, this was something I would recommend ordering here. On the other hand, I didn’t like the Chipotle Beef Burrito ($15+) quite as much. The beef was a little too sinewy, hence much chewing was involved. The burrito fillings of sweet corn, pineapple salsa and guacamole weren’t as compatible either. If you are less hungry or more carb conscious, tacos might be a better option. I only tried the Hake Tacos ($18+) and found that the size of the hake fillet on the petite side. All in all, keeping food expectations in check, Lower East Side is a pretty nice place to chill out. The staff were very friendly too and took the initiative to offer a complimentary tequila shot since my friends mentioned it was my belated birthday. 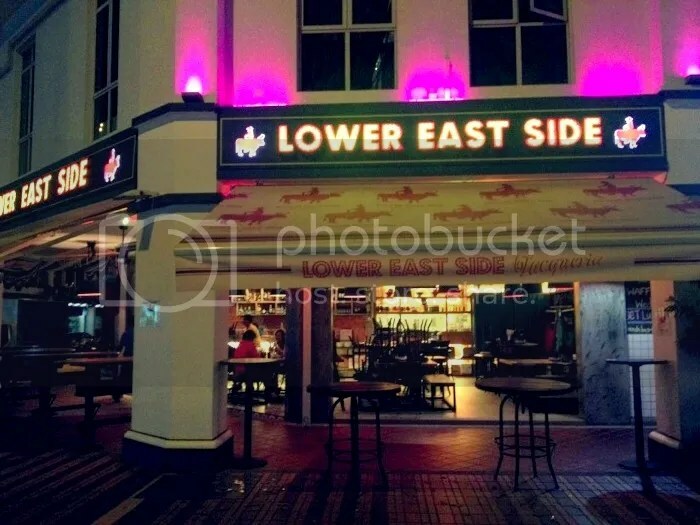 Managed by the Tung Lok Group, The Paramount is a popular haunt for working adults and aunties. The years have not been kind and despite the obvious facial flaws and peeling skin, The Paramount retains the airs and grace of an aged dame, with a very classical feel about it. With Paramount Hotel being bought over by Far East Organization recently, I fear that it won’t be long before an expiry date is issued for The Paramount, much to the disappointment of its many regulars. 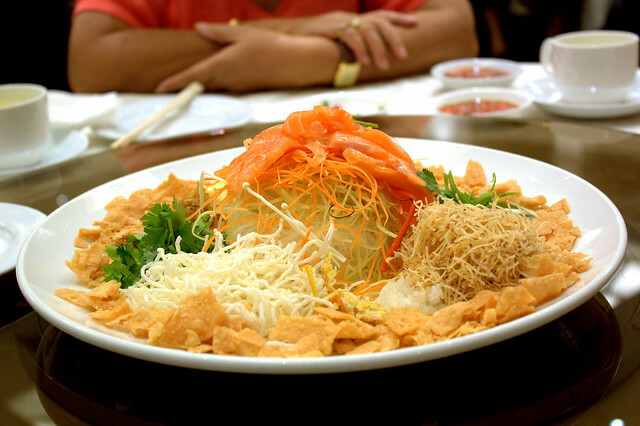 Did you know that just like the Thumb Drive, Yu Sheng was invented in Singapore (and not China!) as well? 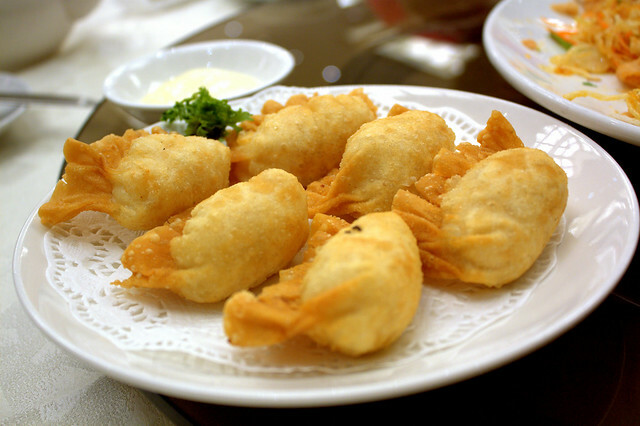 It was actually the brainchild of Lai Wah Restaurant, which still stands today after more than 30 years in operation. That said, I’m still no fan of Yu Sheng($38++/Small). After all, isn’t it just a plate of coloured shredded vegetables in Plum Sauce? Still, I’m thankful for the Salmon Sashimi or in other places better yet, thick slices or cubes of abalone…shiok! I used to think that you can only get good dim sum in expensive posh Chinese Restaurants but quickly changed my mind after having the Fried Prawn Dumplings($4.20/3 pieces) here. Bursting with umami flavours, I can’t see how anyone would have been able to stuff anymore prawn fillings into the dumpling even if they wanted to. Eaten with good old mayo, this proves to be one of life’s simple pleasures. Given a choice between beef and venison, venison always triumphs (unless you used a wagyu or kobe cheat code). While the Sauteed Sliced Venison Meat with Chef’s Special Sauce($22) wasn’t particularly impressive taste-wise, the generous portion size more than made up for that. 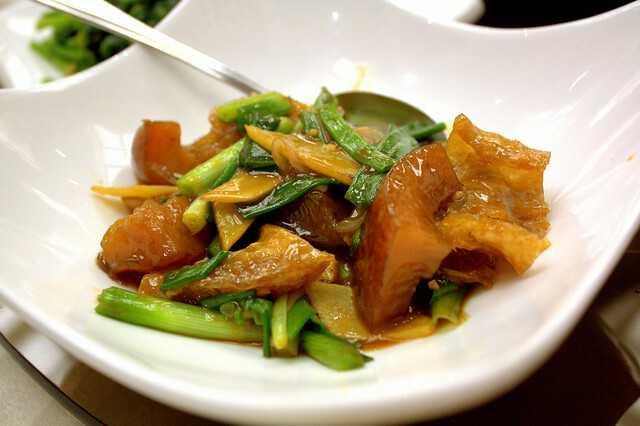 Sea Cucumbers are my Dad’s favourite and I love them too so we had the Stir-Fried Sea Cucumber with Deep Fried Fish Maw($28++). Originally tasteless, I just adore how the sea cucumbers manage to soak up all the “zhap” or gravy which makes it just so tasty. 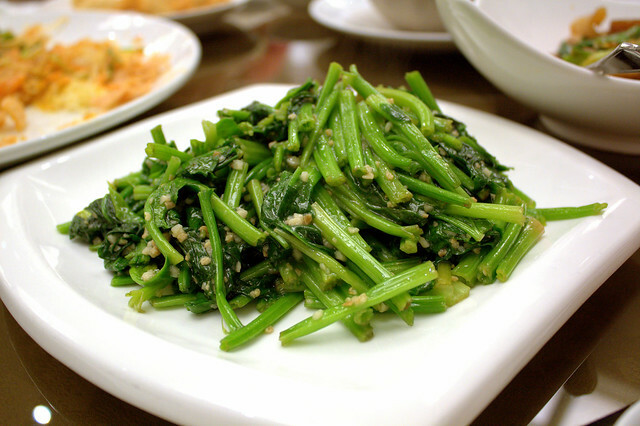 A dish of Stir-Fried Spinach with Garlic to help with bowel movements concludes the pre-CNY festivities. I was surprised that while many eateries face problems with the lack of a weekday lunch crowd, The Paramount didn’t seem to face such issues and while the food was not mind-blowingly good, it definitely is decent with an extensive menu catering to all palates. “Procrastination is like masturbation. At first it feels good, but in the end you realise you are only screwing yourself.”. One of my friends used this as her Facebook status update recently and I thought it was hilarious. Anyway, the point I want to make here is that I have been procrastinating my visit to Al Forno for the past couple of years. So, I was elated when E invited me for dinner @ Al Forno with her cousin C. I readily agreed, especially since there’s a 1-for-1 pasta/pizza on weeknights! 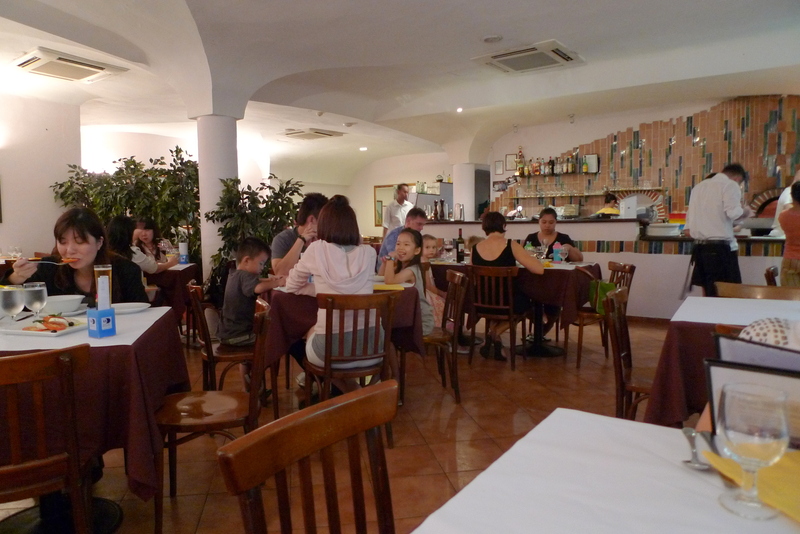 A very family friendly restaurant, I wouldn’t have felt out of place even in a T-shirt, berms and slippers. Al Forno literally means “from the oven”, so I was envisioning authentic Italian Fare, a juxtaposition to food from Pasta Mania which means “from the microwave oven” 🙂 Fyi, I have stayed Pasta Mania free for the past 2 years! 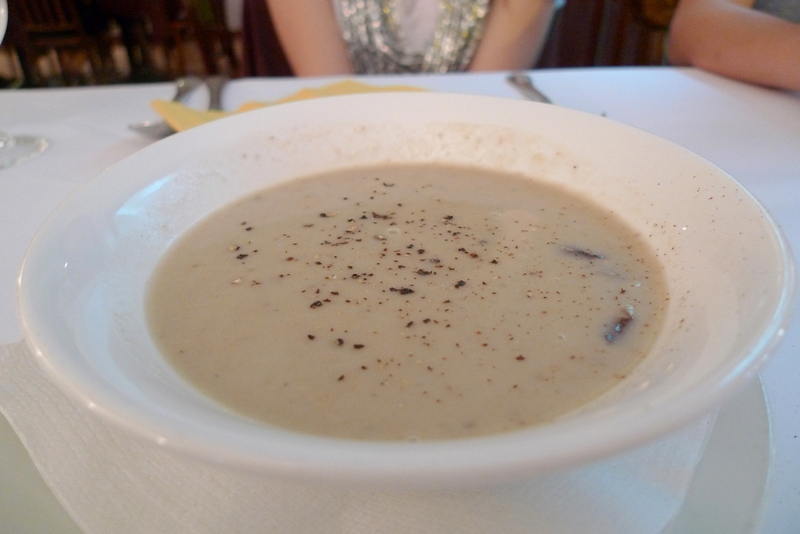 E why oh why do you love Mushroom Soup($12++) so much? It really doesn’t make for nice pictures. Anyway, I really feel that creamy mushroom soups only taste good in fine dining restaurants. It might be due to the infusion of truffles or probably more so from the placebo effect, a direct result from paying through your nose where the more you pay, the greater the sense of perceived satisfaction. Hence, I safely arrived at the conclusion that since Al Forno is no fine dining restaurant, the Mushroom Soup was just average which it was. Being the stingy practical Singaporeans that we are, we skipped any other appetizers and went on to order the 1-for-1 pastas to get the most bang for our buck. 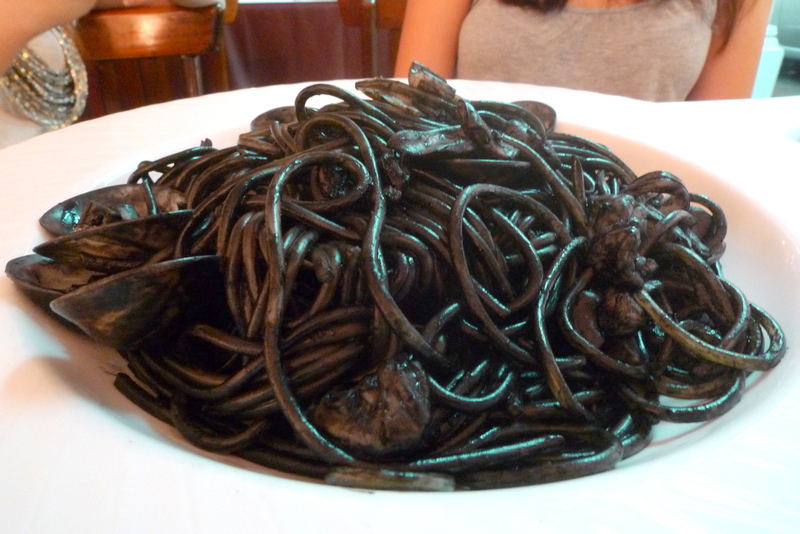 The Spaghetti with Squid Ink & Seafood($23++) had a distinct charred taste and the staff obligingly replaced it with a Carbonara($21++) upon our request though not before commenting that it was supposed to taste like that(says the chef). 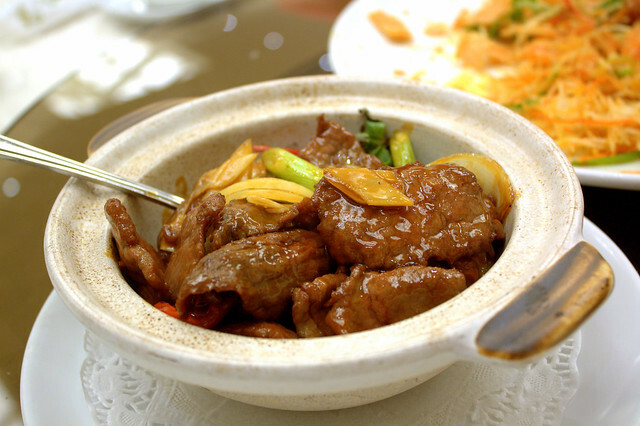 Despite my tender years, I’m sure that I’m a chao tar food expert after eating my own cooking a few times. Anyway, the customer is always right, right? But I do keep a lookout for dribbles of any bodily fluids when I request for an item change nowadays(after my bartender friend G had admitted to spitting, and his collegue peeing into troublesome customer’s drinks at a reputable bar). 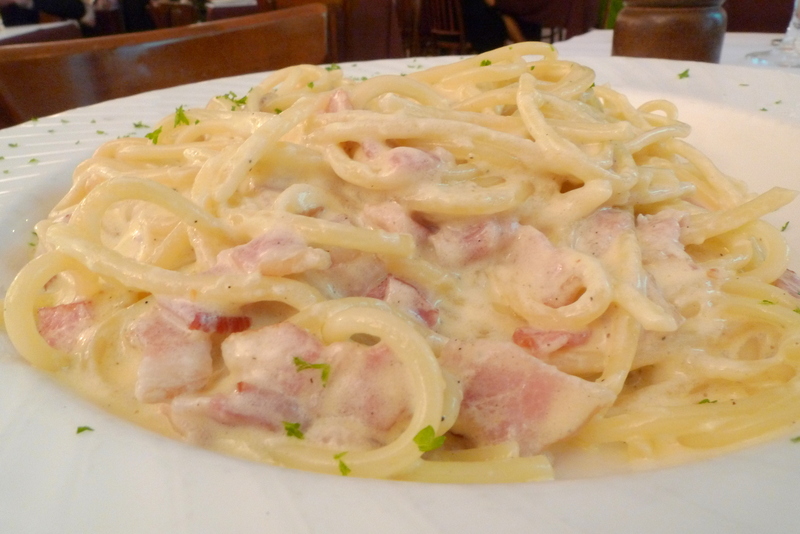 Actually by the time the Carbonara($21++) arrived(nearing the end of the meal), we were more or less pretty full already so we decided to doggy bag it after picking at it for a bit. It wasn’t fantastic, to me it wasn’t even good. I found it bland, but perhaps I’m just more into tomato based pastas. 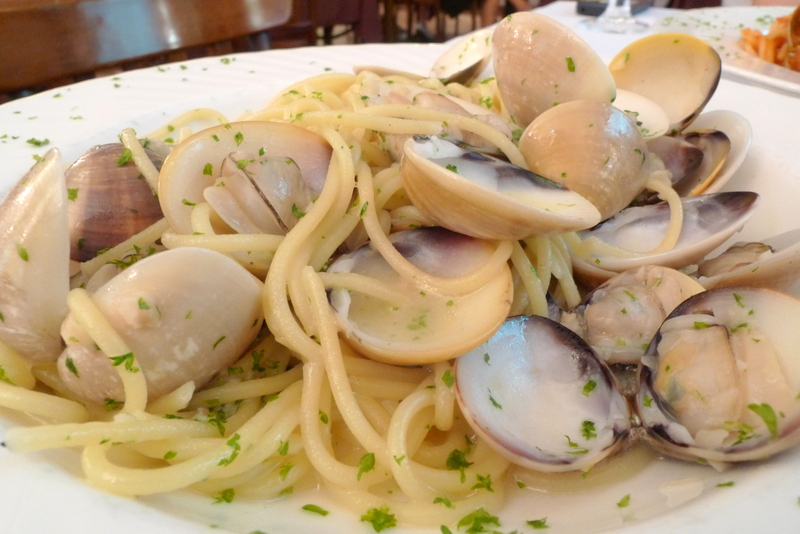 The Spaghetti Vongole($23++) however, I liked. It reminded me of the time spent at Gold Coast where I picked up live clams along the beach and brought it back to the hotel room to boil and eat when I was still in Pri Sch. The taste of fresh clams ever so subtly bittersweet yet awfully refreshing at the same time. 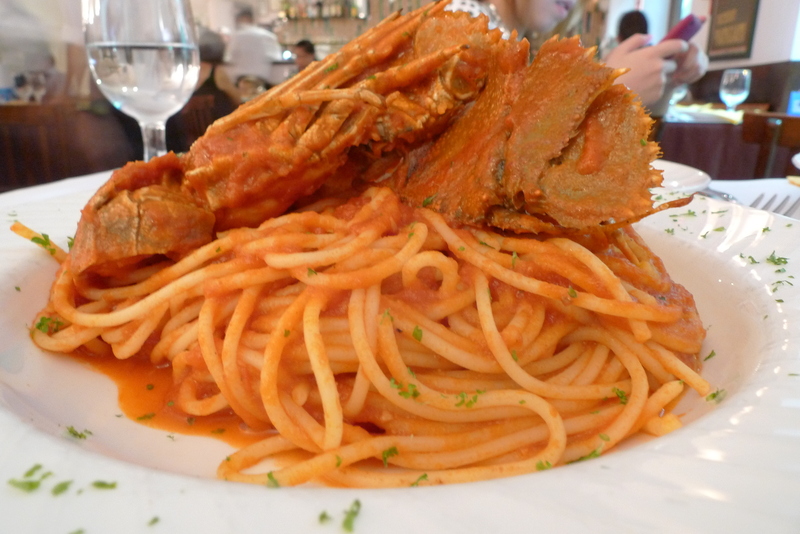 The Spaghetti Cicale aka Crayfish Pasta($23++) wasn’t too shoddy either though I feel that in general, Al Forno’s pastas tend to be a little bit too overcooked and thus on the soft side. I did like how the crayfish was meaty, fresh and nicely cooked. 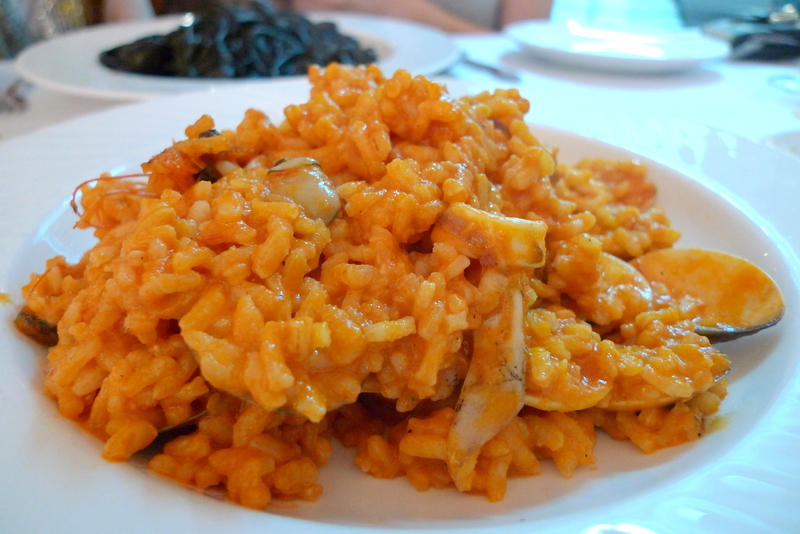 The Risotto Pescatore aka Seafood Risotto($25++) was meh. The cheesiness wasn’t overpowering, pretty much drowned out by the tomato base. The medley of seafood(Mussels, Prawns, Clams, Squid) was fairly fresh. Surprisingly, there was no dessert section in the menu. 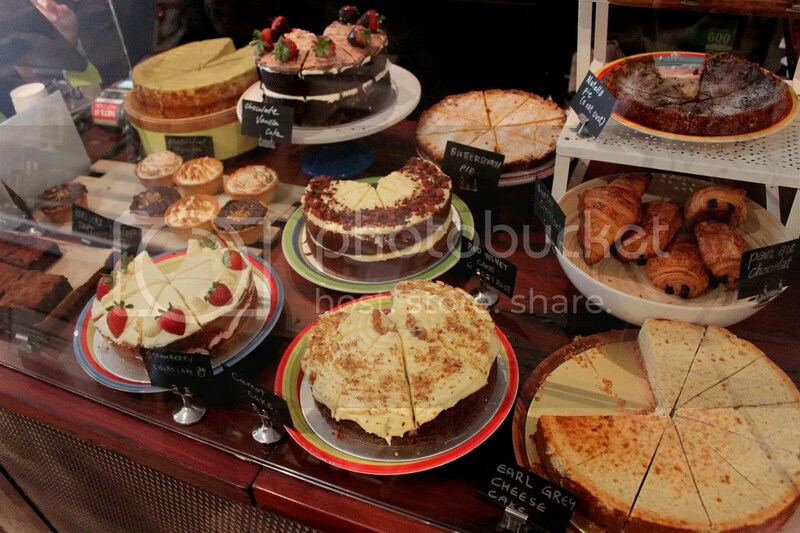 You probably have to ask the staff what fresh desserts they have prepared for the day. However, we really weren’t too excited about the desserts here after the mediocre meal. So, we all went to Ice Cream Chefs instead! Imo, Al Forno strives to serve affordably priced authentic Italian fare and relies a lot on natural flavouring which I find is a little too mild for me. 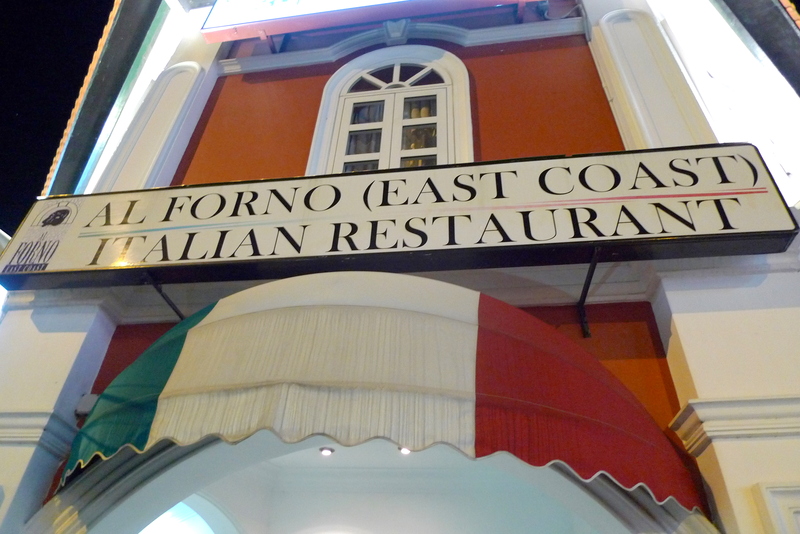 E, along with other food blogs I have read did mention that Al Forno serves a decent Spaghetti Cartoccio(in serving sizes of 2 pax) so if I do return, it would probably be to try that.